Once the 3Play Media and Panopto accounts are linked, users who have been granted the ability to request captions can do so by following these steps.. 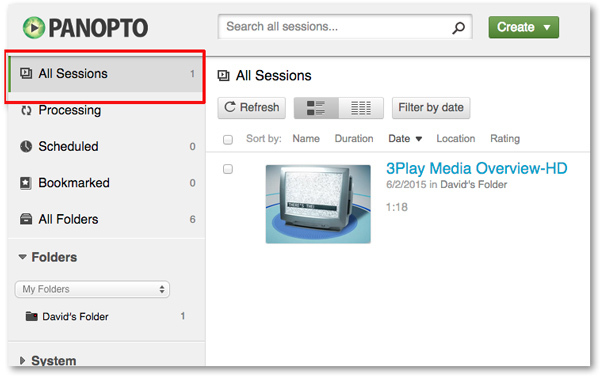 Locate the video within a folder or the All Sessions section of your Panopto account that you want captioned. Hover your cursor over the video you wish to caption and a few options will appear. Within the Settings menu click Captions. 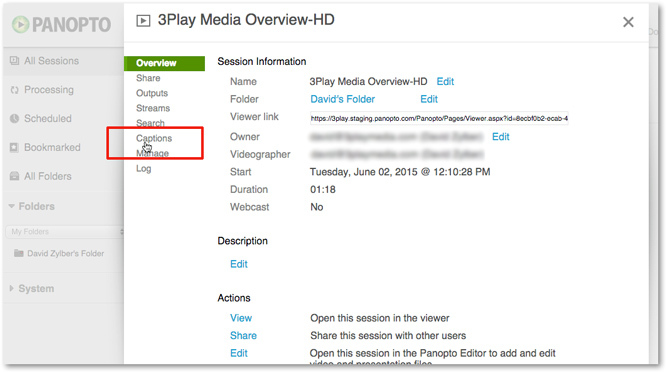 Under Request Captions select from the available 3Play Media turnaround service levels that have been enabled for your Panopto user profile. Once the desired turnaround service level has been selected click Order. Once submitted, the status of your caption requests can be tracked.